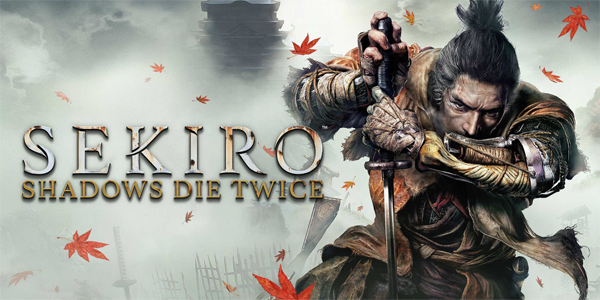 A couple more weeks into Sekiro, and I'm still nowhere near being finished with the game. I'm definitely getting the hang of it more, but am also still struggling at pretty much every boss (and mini-boss) that I come across. I have a few tips based on my own experience and observation that I hope will be helpful for other players, so that you don't have to go through some of the headaches that I've gone through when adjusting to this new game. As stated, everything I'm about to say are my own personal tips and observations. Do not take any of them as gospel. In fact, if you have your own tips, I'd love to read them in the comments. There will be some minor spoilers for early game content. First and foremost, you should definitely take advantage of the ability to "bank" your sen (money). 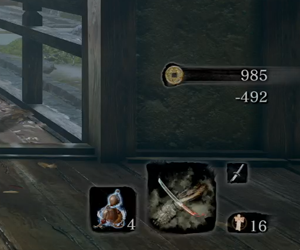 This is one area in which Sekiro actually offers a bit of leniency to players who may be familiar with Dark Souls. 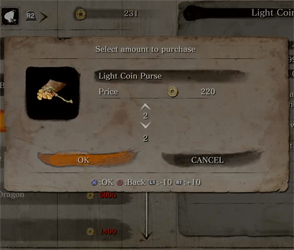 The Souls games did not allow you to directly bank your souls; but Sekiro does have a way to bank your cash. You can use a Light Coin Purse to acquire 100 sen, but they cost 110 sen to buy. Most vendors will sell coin purses (in varying sizes). Now, you may have noticed that the vendors sell their coin purses for 10% more than what they are worth. For example, if you use a Light Coin Purse, you'll receive 100 sen. However, it costs 110 sen to buy a Light Coin Purse. Similarly, the Heavy Coin Purse grants 500 sen when used, but they cost 550 sen to buy. There's a 10% mark-up. Sadly, there's no bulk discount for buying larger coin purses, so there's no reason to save up for the Heavy or Bulging Coin Purse, as opposed to just buying a bunch of Light Coin Purses. The number of coin purses that each vendor will sell is also limited, so invest wisely! Dying will take away 50% of your un-banked sen.
Don't let this 10% mark-up deter you from buying the coin purses. These coin purses are not lost when you die, but some fraction of your "soft" sen are lost when you die (unless you receive "Unseen Aid"). If you do not intend on making purchases with your coin in the immediate future, then you should strongly consider banking the sen by buying coin purses -- especially if you are about to enter a new, unfamiliar area, or if you are repeatedly dying to a boss or mini-boss. A single death will cost you 50% of your un-banked coins. Repeat deaths will quickly eat away at the rest. And (unlike in Souls-Borne), you can't go back and retrieve your lost coin or experience. The 10% mark-up on buying coin purses is a paltry penalty in comparison, and the insurance of having coin purses is well worth the investment! 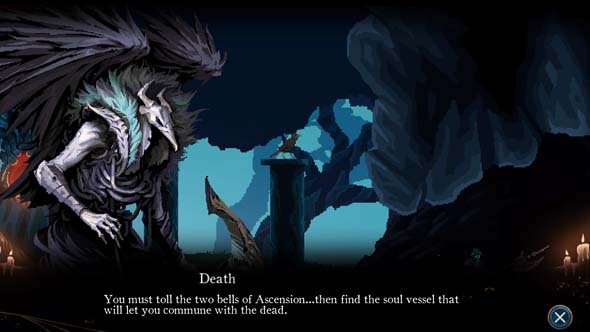 Is Death's Gambit a serious Souls clone, or a parody? 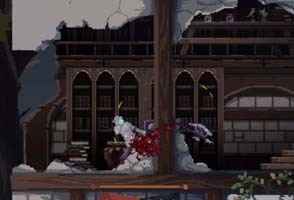 Being that Death's Gambit is produced by Adult Swim, I wasn't sure if it was going to turn into an outright parody of Dark Souls. Was this going to be some kind of comedic satire? Or a serious and thoughtful game? Or just a mindless hack-n-slash with little regard paid to story or narrative. It surely wastes little time before mocking Dark Souls. 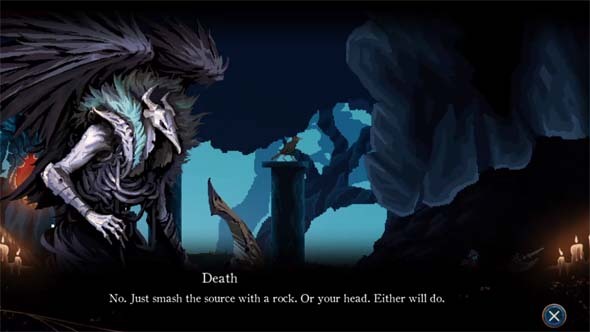 Death's Gambit wastes little time before mocking Dark Souls. 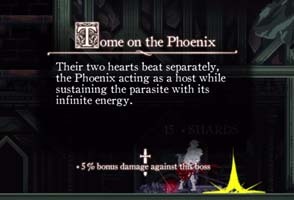 Much of the game's design is blatantly inspired by Dark Souls, except for the title's font, which is evocative of Demon's Souls. From the menus, to the character creation screen, to the main character's armor that looks suspiciously like Artorias of the Abyss' armor, to the death mechanics, you'll see Dark Souls mirrored in almost every element of the Death's Gambit's design. As such, it's very hard to judge Death's Gambit without appealing back to the game(s) that so clearly inspired it. Music is one strange element of production in which Death's Gambit deviates considerably from its inspiration. 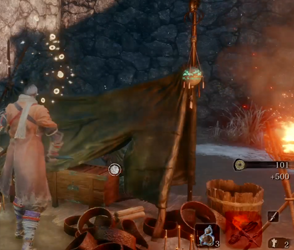 The main menu music is reminiscent of old-school RPGs, such as Final Fantasy X, rather than silence, and this trend of not being silent extends to the rest of the game. Instead of a mostly-quiet experience with calming strings in the hub and an intense orchestra for boss battles, Death's Gambit has pretty constant background music as you traverse the world. This makes the music, overall, feel less memorable, as it kind of just disappears into the background. The background music for the Central Sanctuary reminds me of Resident Evil's save room while I'm listening to it, but I can't actually remember what it sounds like once I stop playing. Death's Gambit is, sadly, plagued by a lot of nagging little problems and lack of polish. Some of them are even issues that have been present in the Souls games, but which have been fixed (or at least addressed) by FromSoft in sequels. In these cases, White Rabbit should have known better. The most egregious of such offenders might be the inability to purchase multiple copies of any given consumable at a time. The Buy screen doesn't tell you how much of a given item you already have, and the Enchant screen doesn't tell you which items are equipped. If you use up all of a given consumable, it's removed from your item bar, and if you buy more, they are not put back into your item bar. Nagging annoyances include text and foreground decorations obstructing the action. The game also puts text overlays on the screen, sometimes while enemies are present. You can't read the text while you're focusing on not dying, but the text also gets in the way of the action. It's nice that they make sure that the player sees some of the important lore that you find, but don't do it if you're going to have enemies attack the player at the same time! Edge of Tomorrow mimics video game respawning. Video game adaptations have generally been pretty awful. 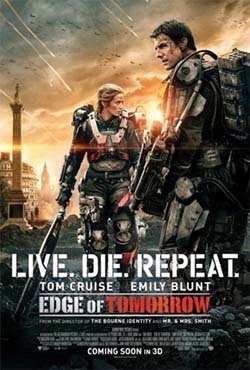 Edge of Tomorrow isn't based on a video game (it's actually based on a Japanese novel), but it manages to feel more like a video game than any game-based movie that I've ever seen, while still providing an interesting and fun narrative built upon a unique time-travel premise. The movie takes place in a present-day earth that has been invaded by hostile aliens, slowly but steadily consuming the cities of Europe, Asia, and the Middle East, and the combined forces of earth's nations can't slow them down. William Cage (Tom Cruise) is ordered into active combat in a surprise assault against the aliens, despite being a propaganda officer rather than an actual soldier. During the assault, the human soldiers are ambushed and slaughtered, but Cage manages to kill an alien only to be boiled alive by the alien's acidic blood. However, Cage gains the alien's ability to go back in time to reset the day after he dies. So when Cage dies, he immediately wakes up back at the army base just prior to the invasion to start the day over again. Cage gets stuck in a "Groundhog Day" cycle, constantly reliving the same failed invasion over and over again. He tries to change the outcome, but plays such an insignificant role in the grand scheme of things that his efforts are all in vain, and he must repeatedly experience the invasion until he has effectively memorized every event. In each repeat cycle, he gets a little bit better at staying alive, just like a video gamer playing a trial-and-error level in an old-school video game (think Castlevania, Contra, Ninja Gaiden, or the more recent Demon's Souls). He learns the location of every alien, every mortar shell, every landmine, every piece of flying debris, until he can essentially walk through the invasion with his eyes closed either avoiding or eliminating threats with virtually no effort.